Who is to blame for abysmal listing to sales ratio? We were reviewing year-end numbers for 2014 and discovered some disappointing stats on listing to sales performance across the board during the year. Success rate only 48.1% for new listings during initial listing period! Ottawa Real Estate Board statistics show that there were 28,943 new listings for residential and condo properties during 2014. The number of sales totalled 13,928 for a ratio of only 48.1%. This means that less than half of all MLS® listings generated an offer and firmed up a sale during the original listing period. Note: figures are made worse by the fact that a single listing may have been listed 2 or 3 times during the year thus overstating the number of new listings. Sellers generally have an overly optimistic estimate of the market value of their home by 5 or 10%. Realtors have a responsibility to try to manage seller expectations but with the “list to exist” principle in professional real estate, many Realtors may be overly optimistic on listing price to ensure they don’t lose out on the listing. Salespeople are typically optimistic in outlook and also very astute at finding out what a seller wants to hear. Sellers will tend to gravitate to the salesperson that tells them what they want to hear and understands their vision of the special property to be marketed. This can lead to overpriced listings and extended listing periods. Realtors derive ancillary activity and advertising value by carrying a listing, so there is great incentive for them to do whatever is necessary to convince that seller to list with them. Whether Realtors fail to properly explain that our market has transitioned to a “buyer’s market” or sellers simply fail to acknowledge this fact is hard to say. Clearly, many sellers have still been operating on the assumption that their house will sell fast and at top $ (as it would have in our “seller’s market” between 2000-2010) when the reality is that days-on-market times are growing and we have a significant quantity of excess listing inventory which heightens competition and puts pressure on listing and selling prices. Organized real estate also fails to clearly point out existing market conditions in their press releases which overstate the positive and sometimes is simply blatant “spin”. Should more sellers “fire” their Realtor? What is missing in most listing interviews is a discussion of how long it will take to sell the property at the listing price under discussion and what is to be done if the property does not sell within an agreed upon time. As a professional a Realtor should be held accountable for results and if a sale is not recognized in 30-60 days (for most properties) then a seller should probably “fire” their Realtor and try someone else. Though we don’t have stats on this, our experience tells us that this happens in only a very small % of cases i.e. 10% or less of listings. Our sales to listings ratio historically runs right around 80%, so while not perfect, it is significantly better than the overall Board results noted above. If you are not already working with another Realtor and would like to work with a broker who provides this level of analysis and disclosure by all means give us a call at 613-435-4692 or email to oasisrealty@rogers.com. We are away on vacation until March 1 but watch our website for some special pricing programs and new service level offerings coming for spring 2015! Having a property listed for an extended period is very stressful and either delays, cancels or forces changes to one’s plans. As we are in a period with some historically high listing inventory levels, we are seeing a lot of properties on the market for an extended period. 1) How does the property show online? Are you happy with the photos? Do the photos emphasize the best features of the property? Do online visitors’ view all the listing photos? How do the photos compare to the best ones you see online? Have the photos become outdated? Is a reshoot warranted? 2) How does the property show in person? Does it compare with a model home or HGTV prepped and staged property? Does your property have a “WOW” factor? 3) Does your written listing and other marketing collateral really sell the key features and benefits of the property? Does it differentiate your property from other listings in the area? Why would someone buy your property over the others? Does it appeal to the type of buyer most likely to consider buying your property? 4) What is being done to promote your property? Where is it being advertised/posted? (multiple channels are best) Does this advertising highlight the key benefits of the property? What is the level of online activity or “virtual showings”? How many in person showings have you had? What has been the feedback? Ditto for Open Houses? 5) Is your property readily available for viewings? Have you turned down any requests for showings? 6) How long has your property been on the market? How long do properties in your area typically take to sell? What are the competitive listings in your area (resale and new construction) and how does your property compare? How does your property compare to those that have sold during the time yours has been listed? Why do you think these other ones sold? Have you had any offers and if so, why were you not able to get a firm sale done? 7) how was the listing price determined? 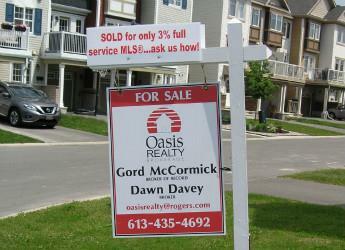 Is the listing price still relevant compared to recent sales and current competitive listings? Is the listing price at the high end of properties in the neighbourhood? Has one overestimated market value based on the cost of renovations, additions or upgrades? What is the minimum selling price that allows you to meet your selling objectives? How strong is your selling motivation? Most midrange properties should sell in 30 days and if they don’t it is likely that one of the foregoing factors (or a combination) is not quite right. Have a thorough review of these factors and a frank discussion with your REALTOR® to determine a revised course of action and make some hard decisions. Doing nothing is generally not a good option, as it would only result in a continuation of an unsatisfactory extended listing period.